This has great ingredients but it did nothing for my lashes and the formula is very watery ... would not recommend. Sorry, not for me. My eyelids became itchy a few hours later. Not a problem Iâ€™ve ever had. I have tried quite a few different natural mascaras and so far this is my favourite. It can be a bit messy when applying but if you leave it for a minute it is easy to wipe off any transfer with a q tip (something I do with most mascara natural or not). Does not smudge throughout the day and easy to remove. Great product! By far the best mascara I have ever used. I can easily use just two strokes and my eyes look amazing. No issues with smudging or transferring either. This mascara washes off very easily and lasts all day. The perfect mascara. I really wanted to love this mascara but it did nothing for my lashes. I like that it's cruelty free and vegan with healthy ingredients but even with 3 coats of this mascara it still looks as tough i dont have any mascara on. No issues with transfer or smudging, and it just makes my lashes dark, long and natural looking, without looking clumpy. Works well to make lashes dark and curled, with volume. The only problem is that it smudges throughout the day. Not bad to remove, but probably wouldn't buy it again because of the smudging. Very dark shade, which is great, but it's a really wet formula and I get a ton of transfer during application. I also find that it smudges on my under eyes in the course of the day. It gives a very natural look but given the trouble I have with application and wear-time, I wouldn't repurchase. Trusty cruelty free brand! Love this mascara. Doesn't run or flake throughout the day. This is a great vegan mascara at a good price. This is a great mascara. It adds a lot of volume to my lashes, I don't have to curl my lashes, they look better than when I did curl them. Very natural looking. I've had this mascara for almost 4 months and I see no signs of it drying out. It is quite small though, so I'm not sure how much longer it will last. Best vegan mascara I've ever tried! This mascara is just okay. It doesnt give fullness and you have to go over it for length. It separates lashes but makes them look thin, not full. This is the first mascara that I've found that adds volume to my lashes and doesn't cause my eyes to itch. I am allergic (mildly or severely) to every mascara I have ever tried. I have no idea which ingredient I have trouble with. I have found one other that I'm okay with but it is a lash tint in that it doesn't build up any volume. Will purchase this many, many times. I was looking to replace my previous mascara (L'Oreal Lash Paradise) with a cruelty-free brand for a reasonable price. I do really like this mascara. It applies nicely and is buildable. It does remain tacky for longer than previously mascaras used. It doesn't flake off either which is nice. My only negative comment would be the size of the brush, it's a little bit too fat. I switched to natural based make ups a few years ago and this is by far the best one I've tried. My go to mascara. I love this mascara! The brush is amazing as is the colour. This really helps me look more awake and put together. I don't feel bad using it every day since it's natural and washes off well. I don't have any problems with it smudging. It goes on easily and I do find it's build-able enough for my needs. I tried a few healthy mascaras looking for a good formula. I'm very happy with this one! Not only does it contain great ingredients, it also goes on smoothly and provides significant volume and rich colour - just what I was looking for! This is a really nice mascara...goes on smooth, nice brush and no smudging throughout the day. I like this mascara, it goes on smooth ,no clumping . My eyes haven't had an allergic reaction I get from some brands. It doesn't lengthen my lashes much so I would see this as a negative. Absolutely love this product. It does everything it promises and this is my third tube! I was looking forward to trying a natural mascara. This wasn't the one for me. I found it transferred to my undereye within a couple of hours. Didn't enjoy the strung out look. I have tried many mascaras over the years. As I have sensitivities to make up it is not easy to find one that does the job and that I can tolerate. This mascara is great! Goes on smoothly and never irritates my eyes. I would definitely recommend it. i love the ingredients in this mascara. But it does not give alot of volume to my lashes at all and is not buildable. After two coats they looked wet-like and not full. Wont be buying this again but pacifica has a great line of vegan products! This mascara is not bad although I was hoping for more length. Does not do much for volume either. It does not irritate my eyes though. Stays put, wears well and looks great! Great product! Howâ€™s on easily, love the brush, extends my lashes well. Never smudges or flakes, even after a while night sleep! Highly recommend! I like this a lot actually. I'm very surprised. The brush is thick and fluffs up the lashes, very easy to apply. No smell, fairly clean ingredients. It makes me look a lot more awake and doesn't smear throughout the day. Also when applying, I don't get the clumps on the lashes like some other brands. I have used a few natural mascaras in the past that were ok, but this is by far my favourite. My favourite natural mascara! Iâ€™v had this mascara for 3 months and it still hasnâ€™t dried out, it doesnâ€™t crumble or smudge while on. I will continue to buy! Very happy with this mascara. Great value and a great product. My lashes look better than ever. This mascara is luxurious and doesn't flake. Super hydrating, makes my lashes look full and soft. I bought this mascara as a natural alternative to my usual brands. I like it! I feel like it's a lot more comfortable to wear than the chemical-laden version. It also works well with my contact lenses. I'm pleased with the fact that it doesn't rub or smear despite the fact that I have small, deep-set eyes with oily lids. Although it seems to stay put, it's also easy to take off with cleansing cloths...no more ripping out lashes. I'd recommend this product. Great mascara. 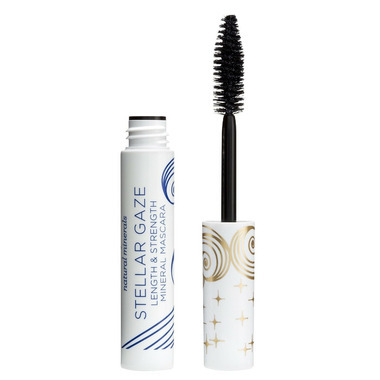 I love that it's natural and not full of junk and is still a rich black; has a plump brush that glides through your lashes to brighten eyes without looking like you're wearing tons of mascara. It also comes off easily with make-up remover. Recommended. Great mascara, no clumps, no smudging. Will continue to buy this product. Very gentle on the eyes and non-irritating. I just build up by layering for thicker looking lashes. Love the brush . Full and thick . Great mascara if you where contacts!! Love this mascara. 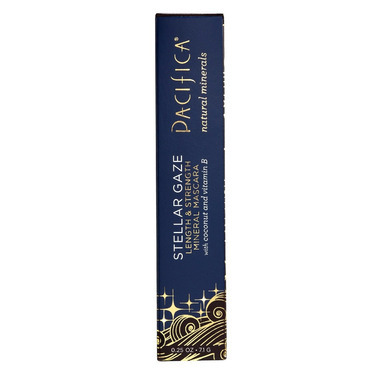 I purchase only vegan and cruelty free makeup and Pacifica is by far the best I've tried yet. Okay, so, it's not exactly what I'm looking for as I would like more length and volume, but for a natural, cruelty free, vegan mascara, I am SO incredibly pleased with this product and I will definitely be buying it again. It went on without a fuss, no clumping, nice big applicator, no flaking, easy to apply to bottom lashes as well even though the brush is quite big. So happy I found this mascara! This is a great mascara! I really like the large, fat brush that allows me ample coverage in less swipes. It's a nice true black, too. And, best of all, it doesn't irritate my contact lenses! The brush is too big for me and the mascara gets all over my lids. At the same time, it does not give big volume as I would expect from such a big brush. After three coats I give up. On the plus side, it does not flake or smudge! But because of the extremely natural look it gives me, I would rather just curl my lashes and and leave it at that for a similar effect. My new everyday mascara!!! For years and years I was obsessed with a Loreal mascara but I've been gradually switching over to natural products. Mascara has been one of my last switches since I have "finicky" eyelashes (they're quite long but basically stick straight out so I curl them but even then they flatten throughout the day). So I didn't have much hope for this mascara. But I am so THRILLED to say that this actually works WAY better than any other "chemical" mascara I've ever tried. And I honestly didn't even like it at first (probably just because I was so used to "regular" mascaras) but it literally took not even two applications for me to fall in love with this. So give yourself some time to get used to it. But I seriously can't believe that it actually holds my curl. I will never buy another mascara again!! You'll like this if you have perfect lashes and enjoy mascaras like Maybelline Great Lash which pretty much does nothing but enhance natural beauty but isn't really waterproof and somehow doesn't bother you because you have big eyes and your lashes don't touch your lids. Otherwise, I'd go straight to the Pacifica Aquarian gaze, which is completely waterprooof and does a way better job at volumizing and lengthening! Have used this for a few years now - keep coming back to it even if I try other mascaras because it goes on smooth, doesn't clump, and doesn't irritate my eyes. Doesn't give a thick lash effect but good for daily use.